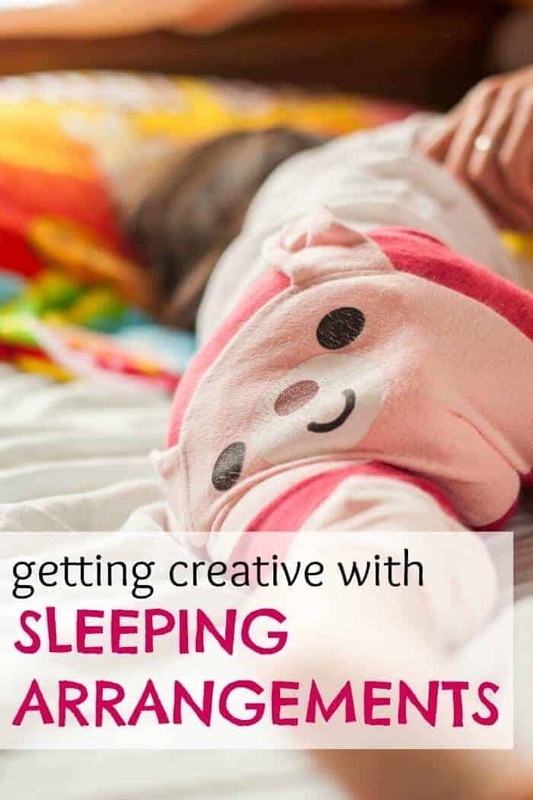 If you’ve got a few little ones in your home and each person doesn’t have a room, you may have found yourself getting creative with sleeping arrangements. I know we do! Here are some tips to help everyone be well-rested without having to necessarily share or everyone in their own room. Y’all know I talk a lot about sleeping. Sleeping in, sleeping longer, sleeping better, and sleeping more. Oh, and what you must do if you’re going to let your little ones share a room to avoid a tragedy. All in all, I’m a control freak about kids’ sleep. I don’t apologize for it and, when all my kids happen to be lacking in sleep, everyone else suddenly agrees with me! I won’t drone on and on about it, but kids who aren’t well rested are more disobedient, fussy, unhappy, and even enjoy play less since they are unable to focus. That said, it’s not always just “put the kids in the bed and everyone sleeps 12 hours” type of nonsense when you have little ones. Different children need different things to transition into sleep time and, obviously, kids have different sleep needs. I’ve yet to permanently have my kids share rooms, and I doubt I ever will. As an only child (birth order matters, people!) I loved having my own room, and I want that for my kids. We are doing some renovations in rooms right now and we’ve had to get creative with sleeping arrangements. Also, the baby still sleeps in our room for another month or so since he doesn’t have a designated nursery and is sleeping well through the night. However, soon we’re going to move the baby out, but not to share… so I’m brainstorming creative ideas! 1. Think Outside of the Bedroom. 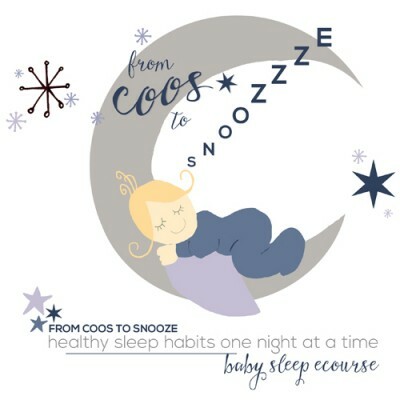 I’ve said it a few times before, but your baby doesn’t have to spend the night in a bedroom! Particularly not while they are very young and sharing is difficult. My son spent 8 months napping and sleeping in the downstairs laundry room in Australia! It was climate controlled, able to be easily darkened, and away from the hustle and bustle of his older brother and sister. A friend used to sleep her current baby (after they were night weaned) in the guest bathroom with an exhaust fan used as white noise. Another reader used to nap her baby all day long in her walk-in closet upstairs. You can use the craft room, a corner of the living room, guest room, or even your room if you have a sitting area. Your baby doesn’t have to share a room with your toddler or older child if it’s going to prevent good sleep or cause everyone to wake up at 5:30 am instead of 7:00 am. 2. Use a pack and play. If you’re worried about using another area to sleep because you don’t want a permanent crib, I’m with you. We are currently switching my daughter and son between rooms, and renovating one room so my 23 month old is displaced. He is also the child that does the worst room sharing. When sharing he wakes at night, talks for hours, and wakes early in the morning to party. So I’m using the play yard right now for my son to sleep in during the day in his brother’s room. In fact, all my babies have spent the first few months of their lives in play yards. You can put a pack and play in any corner of the home for naps. Or if you have one child who no longer naps, the younger ones can take a nap in their room while they have rest time on the couch. It may not be the two oldest siblings who share well. Or two of the same gender. It may, in fact, be the oldest and the youngest and different genders to boot. When choosing who shares, the best thing to consider is personality and sleep habits. One who consistently wakes early may not need to share with one who sleeps late. Unless you don’t mind everyone waking early, that is. You can always test it out. Move one child in a play yard and test it out for a few nights. Of course the first night will be way too fun (for them) to get a clear idea. After a few nights you’ll see how it might go. If one child talks or plays and keeps the other up at night, you may want to re-think arrangements. 4. Nap in a different place than night sleep. Unless they’re used to it from birth and both are tired and well-rested, your kids may find it difficult to nap when sharing a room. Mine sure do! They don’t have to nap where they sleep at night, however, so think outside the box. A child can nap in your room, but sleep in a shared room. They can nap at separate times (although I love having all my kids go down for naps at the same time) even, if it’ll help them nap longer. Great post! My girls have shared a room and they both love it. Both sleep better when they are together. But we have done different things at different times based on different schedules, bedtimes, rooms, etc. It’s not so nice when the 3-year old goes to bed an hour after the baby and wakes the baby up. So currently, they are in different rooms. One thing that was so awesome when my second was a newborn (ugh, naps, naps and more naps) was the Brica fold ‘n go bassinet. I carted it all over the place. It really does set up with one hand and weighs 1 lb or so. Much better than a pack n play! :) It works till they start rolling over. It revolutionized my life with a newborn. She could sleep in her own bed in any room, in any house, even at church. I had one that slept exclusively in the bathroom for a few months, and for a few months before that he was in an alcove in the upstairs hallway. And two have taken all their naps in my walk in closet upstairs. Currently my youngest child’s crib is in our guest room. I think these are some very sensible ideas. I see so many parents who are just running a three-ring circus to try and get their kids to sleep, when actually, they could probably accomplish the same thing with just a few simple tips like this. I was lucky that mine were all great sleepers and far spaced apart, so I didn’t have multiple little ones at the same time. Of course, they’re all grown now, so the challenge is getting them to STOP napping and actually get some stuff done. We moved into a 4 bedroom home while I was pregnant with my 3rd child and I was excited that they would each have their own rooms. Well that didn’t last long! My 2nd child, a boy, refused to go to sleep until after I got the baby to sleep. So for all of our sanity we moved them into the same room. They have shared ever since even though they are different genders. They love it! Now my oldest who has always had her own room started complaining that she wanted to share a room. I was worried because she was my only school aged child and I didn’t want the other two to keep her awake at night. Now they have all shared a room for almost a year! Now we are a family of 6 and the youngest still sleeps in her crib in our bedroom and we are back to trying to figure out how to arrange everyone. The older three, 10, 5, and 3, share a room and the 10 month old is with us. Since our middle two kids refuse to be separated it looks like the baby will move in with the oldest once we rearrange! Mostly because one of our bedrooms has become an office. At this point though that is the kids preference. I wonder how it will change as they get older. Marsha, so fun that your kids love to share! I personally think whatever works best is the right way. I have a friend whose sons both have their own room and really want to share. She wonders why she took all that time/money decorating both. Ha! I think the key is being flexible. Growing up my sister and I always fought when we had to share rooms, but when my parents switched it and I shared with my brother (who is four years younger than me) it worked out great. We shared like that until I was about 12 and then they closed off the dining room so we each could have our own. I TOTALLY agree with everything you said! It comes down to so many nuances, doesn’t it?